Blockchain technologies are disrupting some of the world's biggest industries. Blockchain For Dummies provides a fast way to catch up with the essentials of this quickly evolving tech. 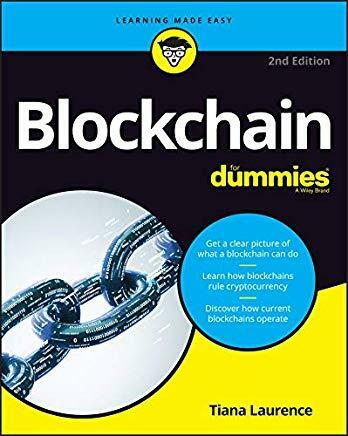 Written by an author involved in founding and analyzing blockchain solutions, this book serves to help those who need to understand what a blockchain can do (and can't do). This revised edition walks you through how a blockchainsecurely records data across independent networks. It offers a tour of some of the world's best-known blockchains, including those that power Bitcoin and other cryptocurrencies. It also provides a glance at how blockchain solutions are affecting the worlds of finance, supply chain management, insurance, and governments. Blockchain has become the critical buzzword in the world of financial technology and transaction security -- and now you can make sense of it with the help of this essential guide.